The destruction of historical cultural assets in Kurdistan by the security forces of Turkey is systematic. Anything that is not Islamic is either razed to the ground or left to itself so that the collective memory of Kurdish society disappears. Wherever the Turkish state occupies foreign territory, the systematic and violent destruction of cultural and religious heritage takes place in the illegally occupied territories. Historic sites and religious monuments are destroyed, plundered, razed to the ground or expropriated. It is also traditional to leave non-Islamic cultural goods to decay. Multi-ethnic and multi-religious areas have been a thorn in the eye of the Turkish regime at the latest since the founding of the state. For millennia, the peoples of Mesopotamia have lived in harmony with each other, leaving humankind an overwhelming cultural heritage. However, most of the historical monuments in the Northern Kurdistan province of Hakkari (Colemêrg) have been occupied by the Turkish security forces for years and used as military bases or police stations. As a result, countless cultural assets have already been destroyed. Many historic sites are still in the hands of the state. These include the Mîr Fortress in the city center and the Bay Fortress in the village of Bay. The monuments, however, in which there is nothing left to loot, are left to themselves. 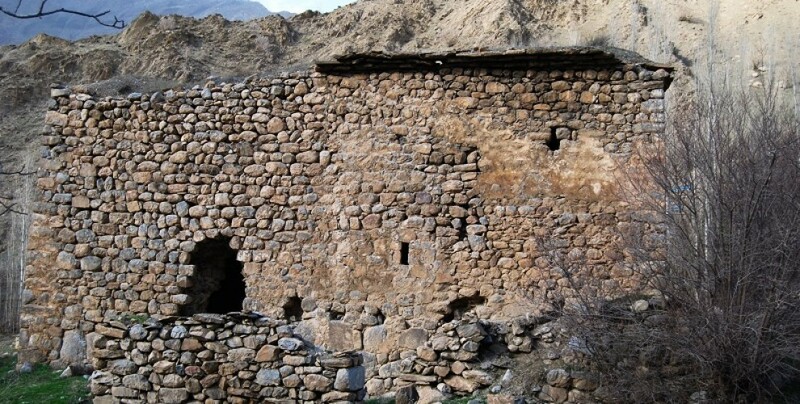 The most recent example in northern Kurdistan is the 1,500-year-old Nestorian Halil Church in the Zap Valley in Hakkari. About eight kilometers from the city center, the church is in danger of decay. In the recent past, services were still held in this historic church. Although the church is about to collapse, it continues to attract countless locals and tourists every year. Because the government does not place the church under monumental protection, the interior has already been destroyed by raiders. In search of cultural treasures and gold in the course of illegal "digging" of looters, the Halil Church has been badly damaged. But in the Zap Valley, which is rich in historical sites, other cultural assets suffer the same fate as the Halil Church. In particular, the burial grounds of Nestorian time around the church were devastated and partially destroyed.